Gov. Mike Parson flanked by House Speaker Todd Richardson, left, and Senate President Pro Tem Ron Richard after his first address to the General Assembly. New Missouri Gov. Mike Parson called for “debating with respect’’ as he pledged Monday to set a new tone in the state Capitol while staying true to the Republican Party’s conservative policies. To illustrate his point, Parson met privately with Republicans and Democrats – including most of the state’s members of Congress – before addressing the General Assembly to formally mark his takeover of state government. Parson’s 15-minute speech was conciliatory in its message, even as it was filled with veiled criticisms of his predecessor, fellow Republican Eric Greitens. The former governor resigned less than two weeks ago amid scandal and controversy over his personal and political behavior. Parson’s words appeared aimed, in part, at countering Greitens’ repeated blasts at “career politicians’’ – including many in his own party. Parson is among the state's political veterans, serving as a sheriff and a state legislator in the House and Senate before his election in 2016 as lieutenant governor. New Gov. Mike Parson addresses a joint session of the Missouri General Assembly. The former lieutenant governor was sworn in less than two weeks ago. Parson did not get into specific policy issues, including the question regarding whether the General Assembly should change state law – or the state constitution – so that a new lieutenant governor could be named. With his ascension, the statewide post is currently vacant – and could remain so through 2020 unless there’s a legislative fix. Parson’s speech was heartily praised by fellow Republicans, including House Speaker Todd Richardson and Attorney General Josh Hawley. “With his address tonight, Gov. Parson made it clear how important it is for this institution to focus on serving the people of Missouri and reaffirmed his strong commitment to restoring the trust of Missourians in their government,” Richardson said. 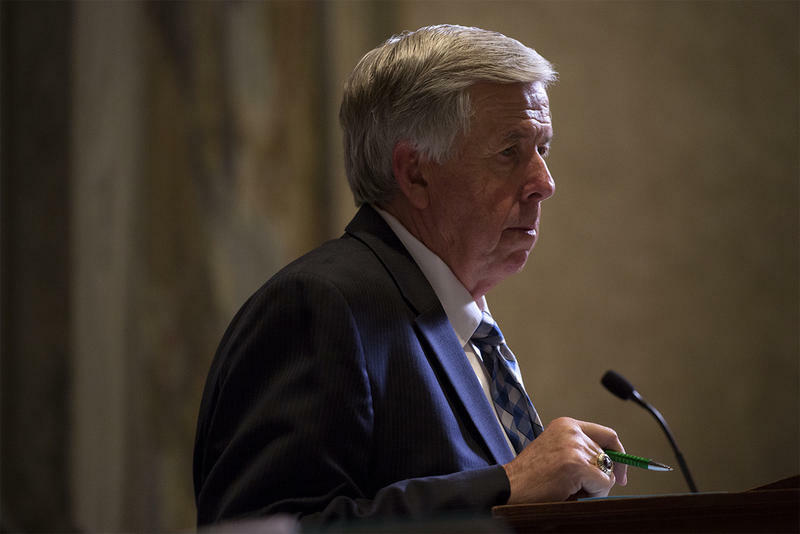 But Richardson also took note of Parson’s support for many of the conservative pieces of legislation passed by the GOP-controlled General Assembly this year. “I am confident the governor’s proven conservative track record means he will remain a strong advocate of views Missourians overwhelmingly voted for in 2016, for us to fight for in Jefferson City,” Richardson said. Members of the state Senate and statewide elected officials listen as Gov. Mike Parson addresses a joint session of the Missouri General Assembly. That conservative theme is among the reasons why Democrats such as Rep. Clem Smith of St. Louis had a measured response to the new governor’s pitch. State Rep. Peter Merideth, a fellow St. Louis Democrat, noted that Parson and Greitens had embraced the same anti-government message in 2016. “Despite this newfound faith in government, even Parson appears to want the same anti-government (and anti-people) policies of his predecessor,” Merideth wrote on Facebook. Dan Mehan, chief executive of the Missouri Chamber of Commerce and Industry, laced his praise for Parson’s approach with the state’s needs that some business leaders want the new governor to address. Gov. Mike Parson addresses a joint session of the Missouri General Assembly. But it doesn’t appear that either Parson or the General Assembly is eager to deal with any lingering issues concerning Greitens. The now-former governor had been facing possible impeachment stemming from a 2015 affair with a woman that generated a now-dropped indictment and his political use of a donor list tied to a charity that he helped found. With no debate, the General Assembly quickly acted Monday to end the special session that leaders had launched less than a month ago to look into the allegations against Greitens. Legislative leaders declined to comment Monday on the future of a House committee that has been investigating Greitens. When Lt. Gov. Mike Parson becomes governor on Friday, the clock will be ticking to fill several seats on the board that oversees Missouri’s K-12 schools. Yet the soon-to-be governor’s platform on education is thin. Gov. 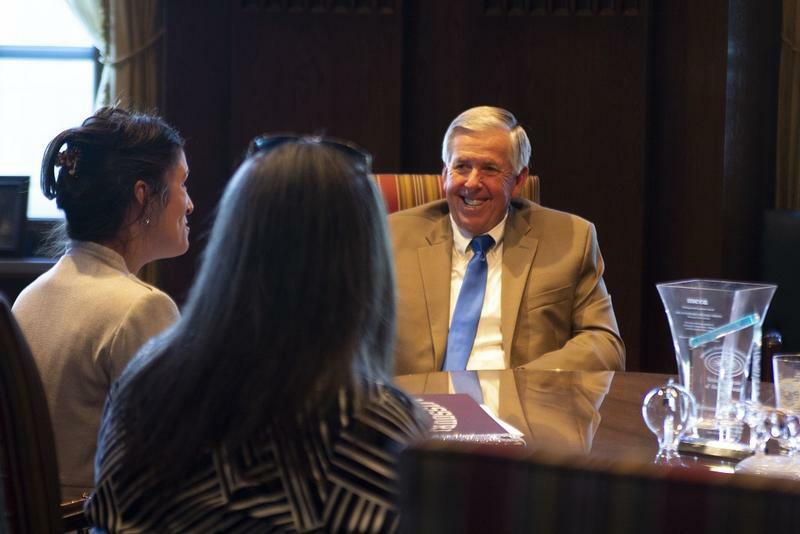 Mike Parson met Tuesday with several mayors from across Missouri, including Florissant and St. Peters, as part of the transition into his new job. He called it the first in a series of meetings with mayors, in which he said he wants his office to provide whatever help or assistance cities and towns may need. 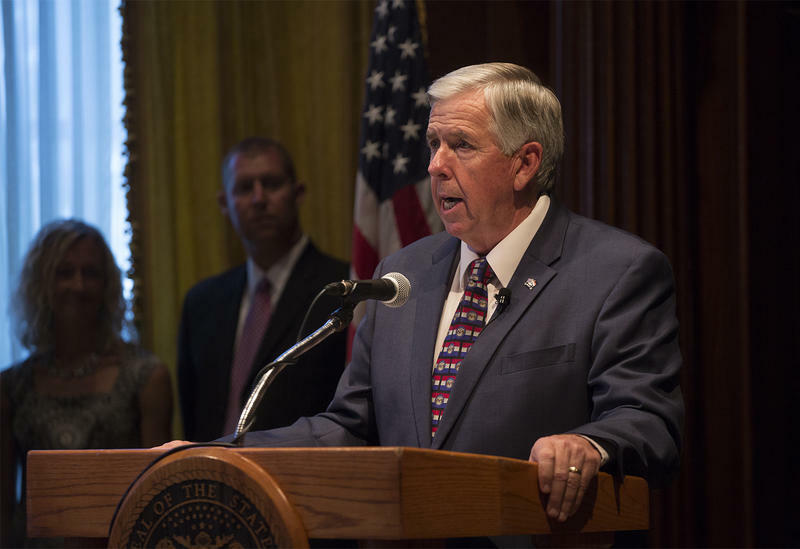 Updated at 9:54 p.m. with the hiring of Parson's chief of staff - Mike Parson kicked off his first full week as Missouri’s governor by meeting with the state’s cabinet members, all chosen by his predecessor, Eric Greitens. The meeting was held Monday in private, inside the governor’s office, but Parson did briefly meet with reporters beforehand. He said he has no intention of replacing any of Greitens’ chosen agency heads.